Compared to many drivers I was late to start driving, being 12 in my first year of competitive karting, others had been driving since the age of 6 or 7. I wanted to always compete against the drivers at the highest level as I believe this will let me learn from the best drivers and let me see how I rate and how I improve against those drivers. So in my fist year I competed in the national Formula Kart Stars championship in which most competitors were expected to have at least 2 years experience behind them. I raced in the Comer Cadet class achieving several podiums, with the karts reaching speeds of up to 60mph. It was a tough season with poor weather conditions causing havoc with tyre choices. On several occasions we were driving on dry weather slick tyres in the pouring rain, which was like driving on ice. The following year aged 13 I progressed to a larger more powerful class of kart known as the MiniMax. I even got to race in Spain at an international event. Unfortunately an accident during the season in which I broke my thumb requiring surgery forced me to take a break from the karts. In October 2013 when I was still 13 I entered the Ginetta Junior Scholarship. This was a chance to win a drive in a Ginetta G40 racing car the following year. I was runner-up from 60 candidates. The competition was based on fitness, media skills and driving skills. Being so close to winning the scholarship made me feel I could be competitive and really wanted to be on the grid. 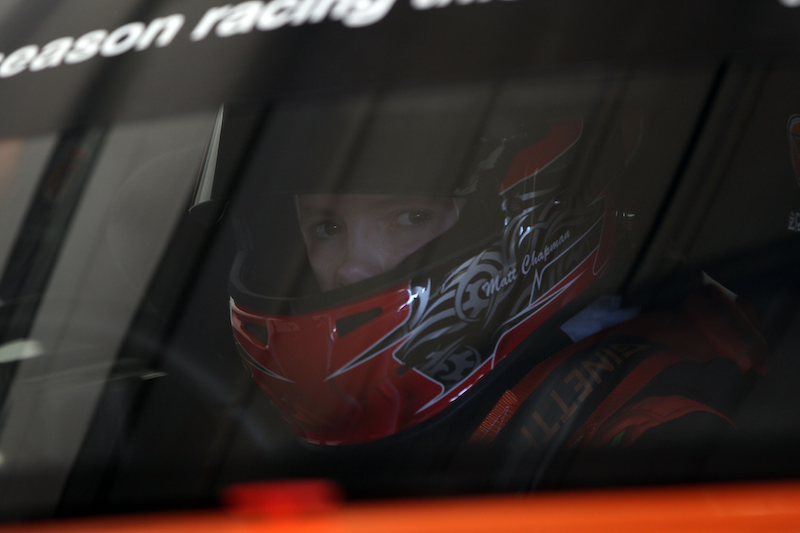 My family supported me and l was able to compete in the Ginetta Junior Championship in 2014. The championship runs as a support race to the British Touring Car Championship (BTCC) the biggest championship series after F1 in the UK. I have raced at 10 circuits around the UK including Silverstone and Brands Hatch in front of crowds of 30,000 people. The races are live on ITV and highlights on the ITV web site. The cars are rear wheel drive with top speeds of around 120mph. The Championship attracts some of the best drivers of my age up to 17 years old Nationally and Internationally. I work with a team called TCR which is run by an ex touring car driver Lee Brookes. It is a professional environment with a dedicated mechanic for the car, a race engineer and I work to improve my lap times with Lee by analysing data and video footage from each outing. It was a steep learning curve. But in my first season I regularly finished in the top 10. This year I feel my driving, car control and race craft have improved dramatically. This lead to many fastest laps in races and my first podium finish in cars at the final round of the championship at Brands Hatch Grand Prix Circuit. We are now working on the plans for next year. I have options to move up to GT class racing which will be a big step up. It would also mean a chance to add Spa in Belgium to the list of tracks where I have raced. The big challenge with motorsport is funding. I am working along side my Dad to approach companies who may be interested in getting closely involved with the exciting world of motorsport, but in these economic times it is very challenging. I have learnt that the business and media side of the sport is as tough as the racing on the track.